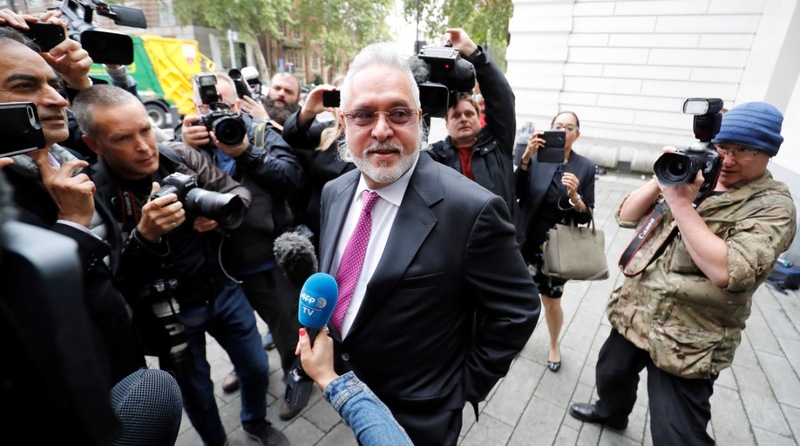 India had expressed its satisfaction over a British court’s judgement ordering Mallya’s extradition to stand trial on charges of committing bank loan fraud. Country’s largest lender State Bank of India (SBI) on Tuesday said extradition of fugitive liquor baron Vijay Mallya from the UK to India will speed up the recovery of over Rs 9,000 crore of loans. In a major boost to India’s efforts to bring back Mallya, who is wanted for loan default worth around Rs 9,000 crore to a consortium of 13 banks led by SBI, a UK court Monday ordered his extradition. “It (higher recovery of loans) is a possibility. The message is very loud and clear. What we have to understand is that it (extradition) is a message that you just can’t default and run away from the country,” SBI chairman Rajnish Kumar told reporters in Mumbai. He said Mallya’s extradition will have a deep impact on the overall lender and borrower relationship. “Lending is an important business for both lenders and borrowers as we need investment in the country. But the message is that you have to do clean banking and you have to be very careful about what is the purpose of the money lent,” said Kumar. The 62-year-old former boss of now defunct Kingfisher Airlines fled to the UK in March 2016. Mallya has been fighting a legal battle against his extradition to India, claiming that he has been falsely dubbed as a defaulter by politicians and media. Meanwhile, India on Monday had expressed its satisfaction over a British court’s judgement ordering the extradition of Mallya to stand trial on charges of committing a Rs 9,000-crore bank loan fraud. “We have seen the order of the court in the case of extradition of Mr Vijay Mallya to India,” External Affairs Ministry spokesperson Raveesh Kumar said in response to queries from the media. “We express our deep satisfaction at the judgement and note that justice has been delivered today,” Kumar said. “We thank the UK authorities for their help in this matter. The court ruling came six days after British national and middleman in the Rs 3,600-crore AgustaWestland VVIP chopper deal, Christian Michael, was extradited to India after his arrest in Dubai. Mallya fled India in March 2016 over a Rs 9,000-crore bank loan fraud but he has repeatedly denied fleeing the country and said he was ready to pay back the money he owed to Indian banks. According to legal experts in the know, Mallya has 14 days to appeal at a Court of Appeal against the judgement.